For years I’ve been following Lori Weise’s work with Downtown Dog Rescue in Los Angeles and her progressive approach to animal welfare has inspired me. While the rescue traditionally focused on adoption and community outreach, Lori and her team recently took on a new challenge: the “South LA Shelter Intervention Pilot Program,” which provides support to pet owners as an alternative to surrendering their animals. Only two months into the pilot program, Downtown Dog Rescue has already reached their year-end goal of preventing over 400 pets from entering the shelter! They’ve also collected valuable data to show why pets are entering shelters and what they need to prevent that from happening. I asked Lori to write a guest blog on her experiences with the program, what information she wants the animal welfare community to have, and how we can help. Below is Lori’s post. Enjoy! When we walk through a shelter and look at all the cats and dogs behind those cage doors, not all of them were “dumped” in that shelter; often they were loved and the person who cared for them had no other known options. 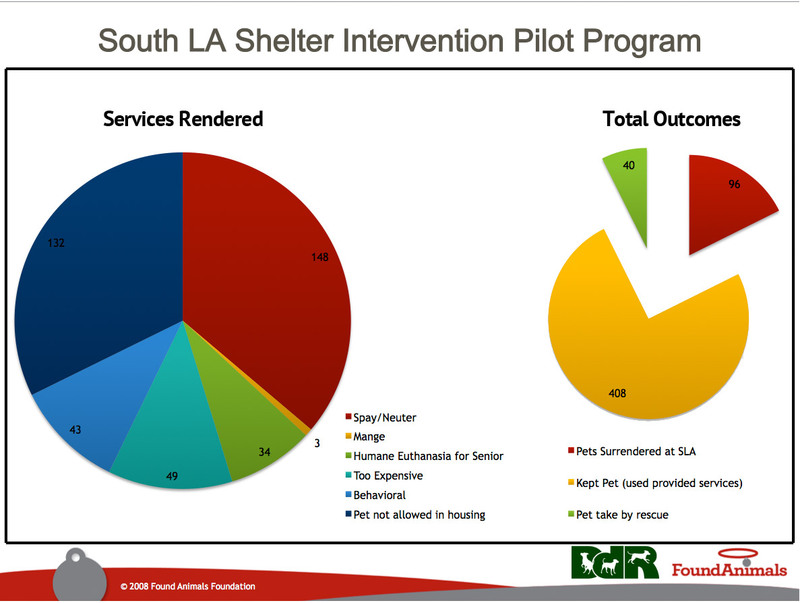 Through the Shelter Intervention Pilot Program we hope to continue to offer the person who believes there are no other option but surrendering a resource that works for their unique situation. The revolving door of pets entering the South Los Angeles Shelter, where Downtown Dog Rescue runs our shelter intervention program, seems never ending. Most days surrenders and strays far outnumber the adopted pets, resulting in the euthanasia of adoptable pets to create room for incoming animals. Our team is committed to slowing down the flow of animals going through the receiving area door at the South LA shelter, one dog or cat at time. First, consider that in the poorest area of south east Los Angeles, there are up to 19,000 people living in one square mile. A car ride away, in a much more affluent area in the south west area, only 1,900 people live in one square mile. Do the math: if every person has just one pet, the amount of services that we need at the South LA shelter is far greater than what’s being provided. Second, consider that these areas have a higher percentage of people in transition, living in subsidized or public housing, living in a converted garage, sleeping on grandma’s couch with no official address, living in their car, truck or van, or living under or next to a freeway off-ramp with their pet. Third, add in a higher rate of violent crime like home invasions, assaults, robbery, carjacking, and blocks of streets being controlled by gangs. It’s no wonder that residents of the community often have dogs to protect their homes. They tend to have large breed dogs, who are often very much part of the family, but their main function is to keep the home protected. This concept of a working pet is one that many of you reading this may not agree with, but consider what Cassandra and her family recently went through. Cassandra approached Amanda, our shelter interventionist, for assistance, not to keep her dogs out of the shelter, but for help getting them back from being impounded. She had a total of 6 pets: 5 dogs and a cat. All had been living with her family for many years, and it was her love for her pets that brought her to the shelter 3 days in a row, to find a way to get her pets back. Financially, all that she could afford to redeem were 2 pets. She chose the oldest dog and the cat, thinking if she couldn’t find a way to get the others back, these 2 had the least chance of being adopted. Can you imagine having to decide which of your pets you can reclaim? I can’t. So that’s why we got busy, started raising money on Facebook to pay for the other 4 pets still in the shelter. Ok, so if she loves her pets so much why were they impounded in the first place? Cassandra probably made a bad decision when she allowed her adult son to move back into her home. While I did not ask exactly what illegal activity he was being accused of committing, whatever it was, it was enough for LAPD to get a search warrant to enter her home without her knowledge or consent. While she was at work, they broke down her security door, her front door, tore off her metal gate, tore drywall off the walls, took an air conditioning duct out of the ceiling and left her home wide open, exposed to anyone in the area, to take whatever was in the house. Can you imagine the dogs and cat running in the street during all that chaos? A house cat that had never been outside and 2 senior dogs that spend 90% of their time indoors. Thankfully, LAPD called in an officer from the South LA shelter and all her pets including her cat were taken to the shelter for safety. Otherwise, they would have been strays. However, because a few bad people had watched the police tear into Cassandra’s house, people knew that her dogs were gone. Later that night, someone broke into her car. So now, she had to pay to board up her house, pay to fix her car, and begin to figure out how to get her pets back. All while making minimum wage. I think a lot of people in her position would just give up and leave the pets in the shelter. 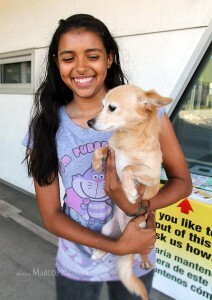 Her neighbors came to the shelter on Sunday with her and we all met up to redeem the last 4 dogs. 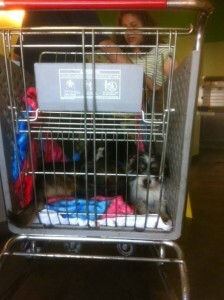 The photo above is one of Cassandra’s dogs returning home from the shelter. 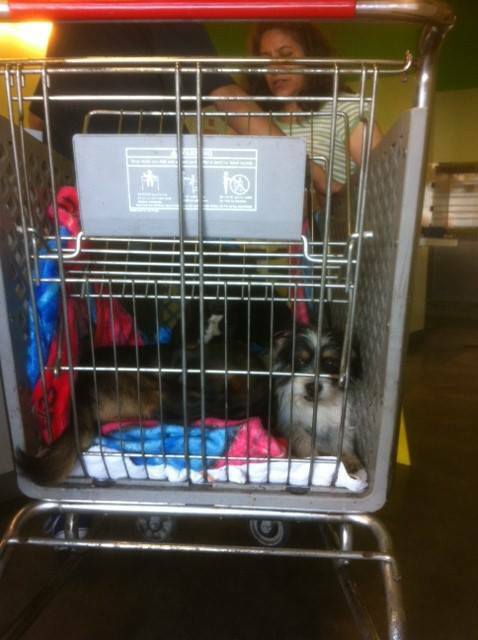 While we were waiting for Cassandra’s paperwork to be completed for the 4 dogs, a young man and his mom pushed a shopping cart with 4 other little dogs inside it. Thinking that the dogs belonged to them, Amanda spoke to them in Spanish, asking how we could help prevent the dogs from being surrendered to the shelter. There was no hope for this case. The dogs did not belong to them. Their neighbor had moved and abandoned the dogs in the back yard. The young man had been feeding and providing water for them and actually convinced his mom to allow him to bring the dogs home, despite a no pet policy. Mom agreed but the landlord quickly told them get rid of the dogs or they would have to move. Their lack of money did not create a situation where there was a lack of compassion for animals. No car, bus, or public transportation will allow 4 dogs to ride, so they did what they knew was the “right thing” to do: they loaded them up into a shopping cart and walked miles to the shelter from their home. A walk that took hours. 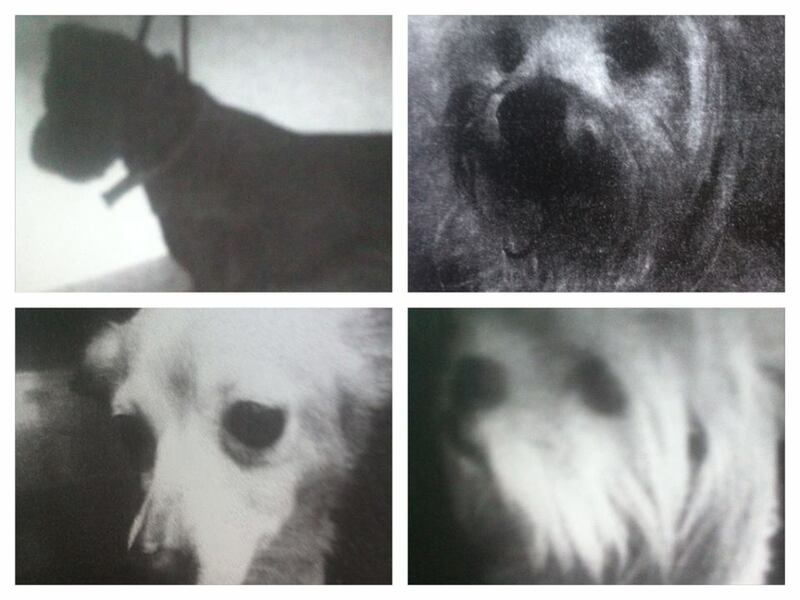 So while we were busy getting 4 dogs out of the shelter, these 4 were taking their place. The revolving door continues, every day, every hour. This is not a “pet problem” this is a poverty problem. Lack of jobs, lack of secure and affordable housing, lack of services. When services are available, they are often difficult to access. Other services require people to live in a target zip code or prove how little money they make to qualify. Even reclaiming a pet from the shelter can be a challenge, since it requires identification that matches the address where the pet owner lives — a challenge for people in transition. It’s especially daunting for someone who quite possibly can’t read, doesn’t speak English and, for that matter, doesn’t speak Spanish that well either, and definitely can’t read in either language. Why do “they” have pets in the first place, you might be wondering? If you can’t afford to feed your children, why take in a dog or cat or both? Caring about a stray dog or cat is universal and for many people who live in communities where stray dogs and cats are common, it saddens them to see the animals suffer and ultimately die horrible, painful deaths. 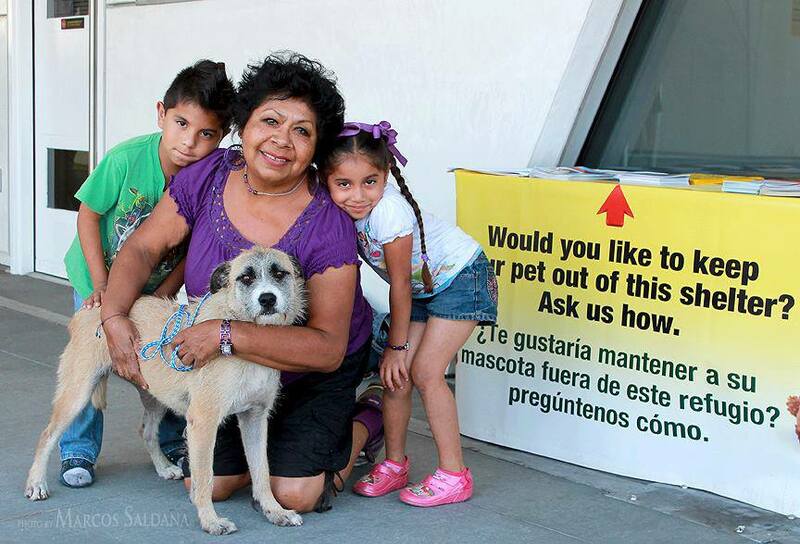 If one spends any time in an underserved community like south east Los Angeles, you will hear the stories of the sick animals on the street, living in a back alley or under a house. For many people, they take these animals into their homes and they become a cherished family pet. I know many of you might say that you would be homeless, living in your car, before you would surrender your cat or dog. But think about it: would you really? Could you survive living in a violent area, constant noise, graffiti, trash, gangs controlling the streets, controlling the times that you can go out after dark? The purpose of this posting is to get more people aware of how much poverty has an effect on people’s decisions to surrender their pets to a shelter. I often hear people tell me this is a result of lack of humane education, which I agree with to some extent. However, I believe the real education needs to start with us, in the humane community. We need to learn how to better serve a population of pet owners who need a variety of services and evaluate each pet and each family as an individual, not a statistic that is believed to be true. If you’re like me — and you believe in this approach to building humane communities for people and pets alike — please consider donating to this program, which depends on donations and grants to operate. To learn more about Downtown Dog Rescue, visit http://www.downtowndogrescue.org/ or follow them on Facebook at https://www.facebook.com/pages/Downtown-Dog-Rescue/494864343909109. 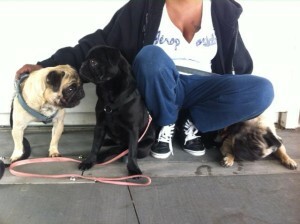 To view a news segment on the Shelter Intervention Pilot Program, visit http://ktla.com/2013/04/28/downtown-dog-rescue-gives-a-helping-hand-to-pet-owners-in-need-of-support/#axzz2S3Lw20kd.